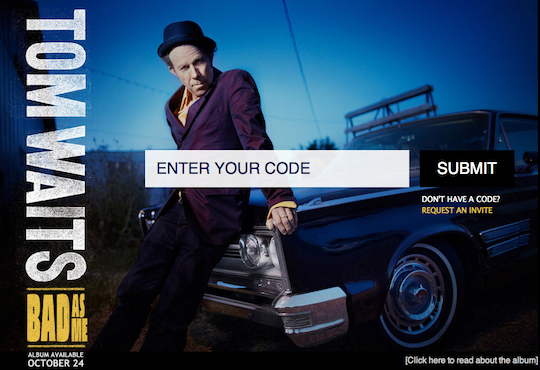 This morning we launched Tom Waits’ BadAsMe.com! We’ve worked with Waits’ team and SoundCloud to create this exclusive listening party streaming his new album Bad As Me before it comes out on October 24. Fans on Waits’ mailing list received individualized codes that granted them access into this exclusive listening party. 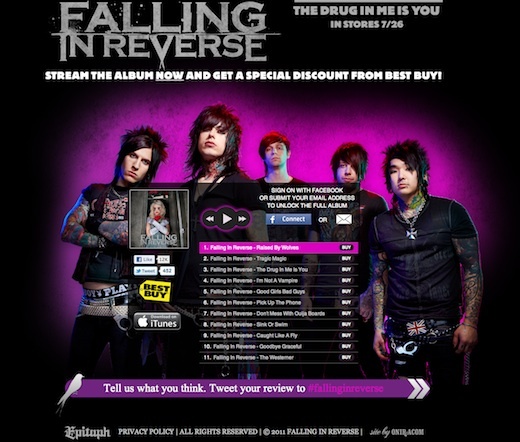 Those who aren’t on the list are able to request a code to get into this album stream. Check it out and get your code now at BadAsMe.com! 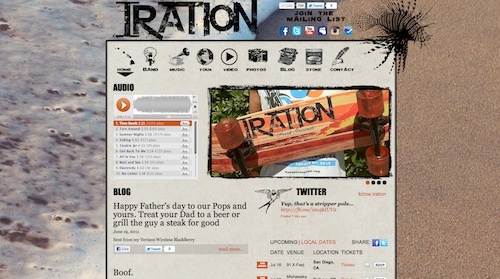 Feel free to check out our latest project, Iration’s new website: IrationMusic.com.